Valin offers a comprehensive line of robotic systems including Cartesian, SCARA, Table Top, Mobile, Articulated and the new Delta Series. Using our services, or those of our integrator partners, we can help you to select the best robot for your application, get it up and running, installed and applied to your specific needs. Omron Adept LD Series mobile robots are Autonomous Intelligent Vehicles (AIVs) designed to dramatically increase productivity in manufacturing and logistics operations. They increase throughput, reduce machine dwell time, eliminate errors and improve material traceability. 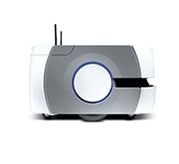 Learn more about Omron's LD Series mobile robot. Omron Adept Viper™ six-axis robot is a high-performance articulated robot ideal for assembly, material handling, packaging, machine tending, and many other operations requiring speed and accuracy in a 650mm or 850mm reach. Learn more about Omron's Adept Viper Six-Axis Robot. 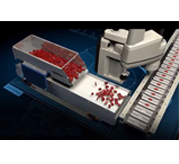 Omron Adept Hornet™565 parallel robot is designed for high-speed picking and packaging applications. Adept’s powerful controls are fully embedded into the base of the robot, saving valuable floor space and reducing installation costs and complexity. Learn more about Omron's Adept Hornet 565 Parallel Robot. 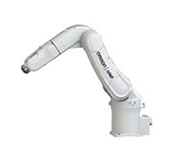 Omron Adept Quattro™parallel robot is specifically designed for high-speed applications in packaging, manufacturing, assembly, and material handling. 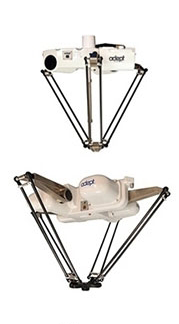 The Adept Quattro robot is the only parallel robot (or "delta robot") in the world that features a patented four-arm design, advanced control algorithms, and large work envelope make the Adept Quattro the ideal overhead-mount robot for smooth motion, high-throughput applications. Learn more about Omron's Adept Quattro Parallel Robot. 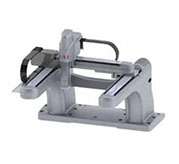 IAI's Multi-axis Cartesian Robots shorten assembly/inspection cycle times by operating at high speeds, ensuring high rigidity and demonstrating excellent straight moving performance. 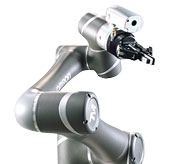 Learn more about Multi-Axis Cartesian Robots. Omron Adept eCobra™ SCARA robot series features 600 or 800-mm reach and is available in three performance tiers, each designed to address different application complexity and throughput requirements. The eCobra offers a compact footprint, saving valuable floor space while minimizing installation costs and complexity. Learn more about Omron's Adept eCobra SCARA Robot. 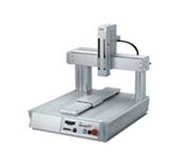 IAI Table Top Robot - Improved for Cell Production applications with higher payload, maximum speed and rigidity. Learn more about IAI's Table Top Robot. What Are the TRUE Costs of Your Motion-Control System? Partner with Valin for a robotics solution that is designed to fit your needs. Contact us today at (855) 737-4716 or fill out our online form to learn more.